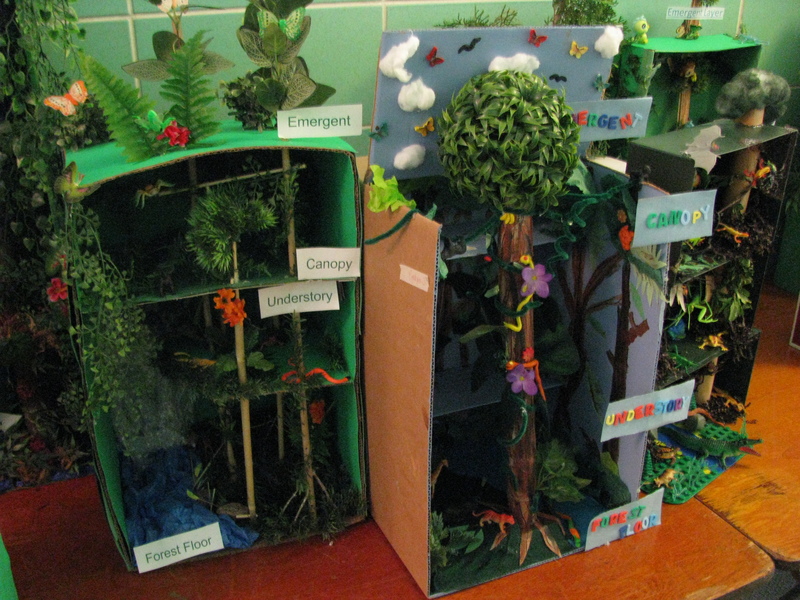 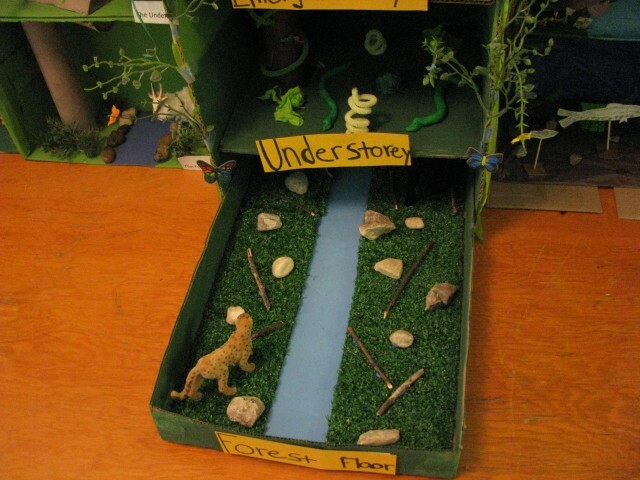 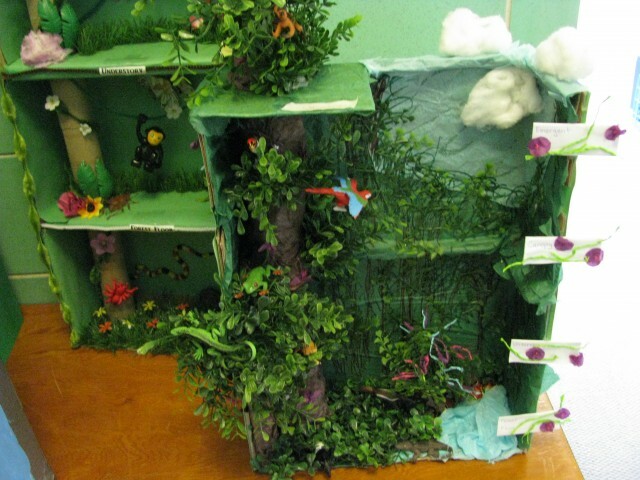 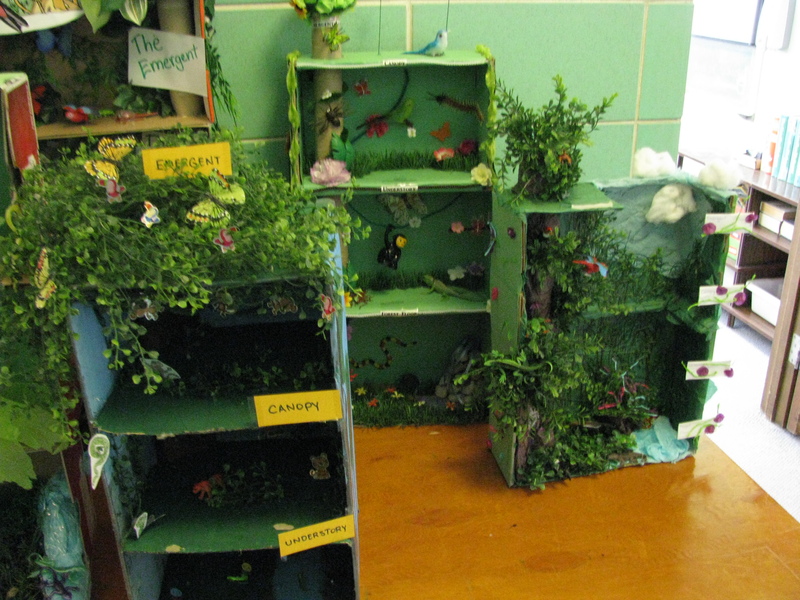 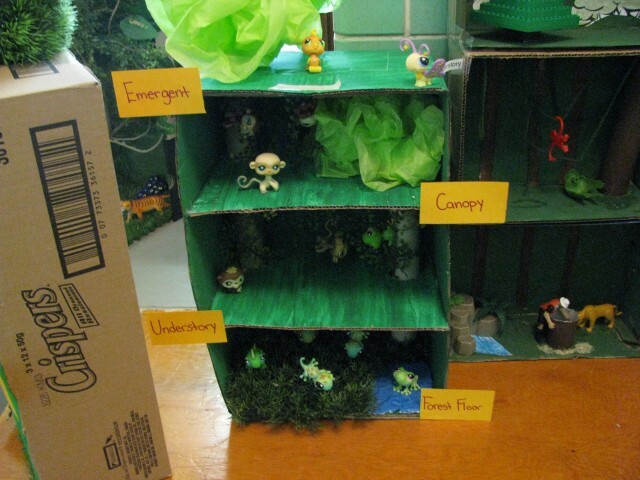 The Grade 7 class recently had the experience of creating a diorama of the Rain Forests. 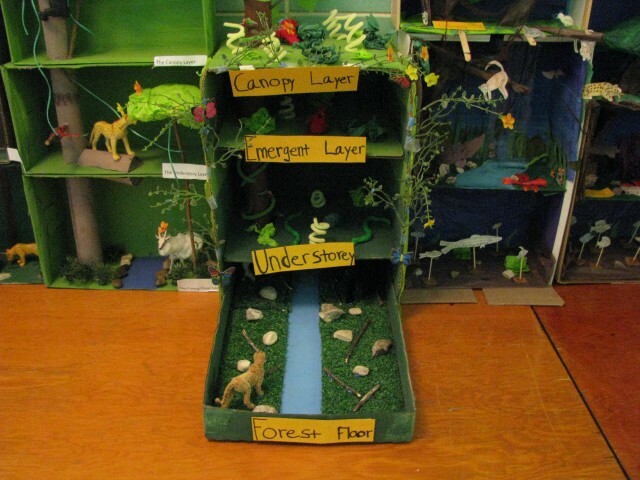 These creative dioramas show the four layers of the Rain Forest, the vegetation and the many species of insects , and animals. 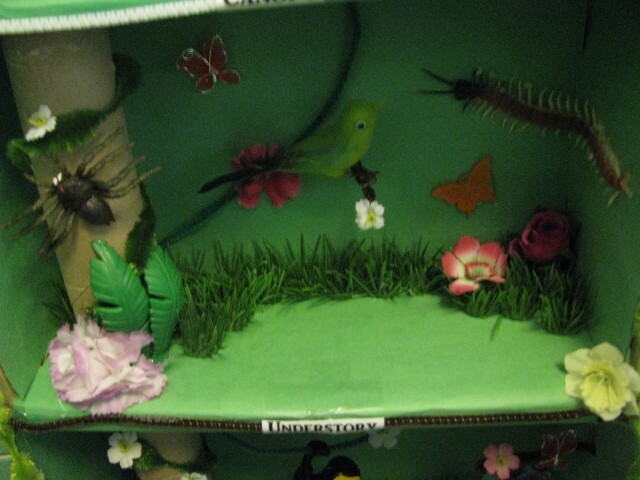 The Grade 7 class did a very impressive job!